In 2013, Grammar School Konštantínova 2 in Prešov (GK2) celebrated its 50th anniversary. Surely, the five decades of its existence has made the school one of the most considerable, reputable and crucial educational, cultural, sporting and social institutions in our city, county and country. The trends of its development have always been not only growing the quantity but also the quality of educational achievements. During a period that schools are being affected by financial problems and the decreasing number of students in the entire of Slovakia, GK2 fearlessly walks towards new challenges and opportunities with an increasingly growing number of students. Apart from the four and eight-year grammar school study, the doors of which have continuously been opened for years, it also has successfully handled five years of English bilingual study. Moreover, it is opening bilingual education focused on the German language this year. It is proof that the school does not live just in the past, but stoutly and creatively makes its plans for the future. Undoubtedly, not only have the last 50 years been successful, but the development of the GK2 will continue over the next 50 years at the same pace. GK2 (traditionally called the Upper Grammar School) is situated on Konštantínova Street in Prešov. The street begins at Franciscan Square and ends at the Town Cemetery. It bears the name of Dr. Konštantín Schuster, the Bishop of Košice. Dr. Konštantín Schuster (1817 – 1899), after the appointment as the Bishop of Košice (1878 - 1887), intervened in the ecclesiastical and school life of Prešov. He funded the construction of the Sancta Maria building, and invited the Order of English Virgin to educate girls therein. The building is the set of GK2 at present. The monastery was liquidated by the communist rule in August 1950 and the sisters were deported to several concentration camps. Some of them returned to Prešov after 1968 and assisted priests in religious education. 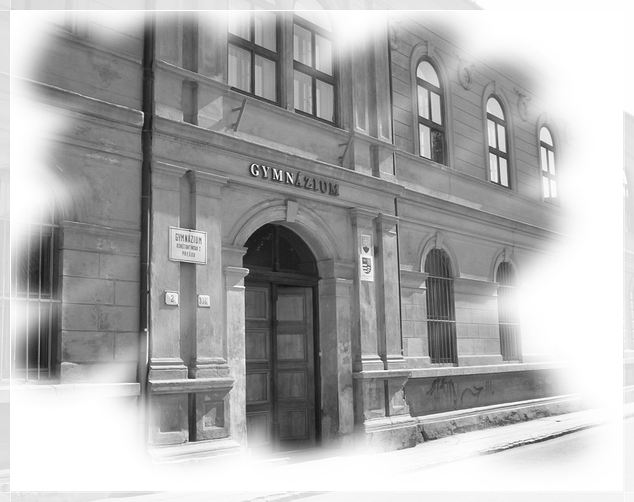 In 1963, there was a secondary school for general education merged with the High School for Workers in Prešov. In 1969 the first four grammar school classes emerged there, and in 1973-1974 the school became a fully organized grammar school. The next year it reached the highest number of students ever – 893 students in 25 classes. The school year 1999-2000 brought the first classes of the eight-year study, 2010 saw the first class of the English bilingual study, while 2014 will be the introduction of the first German bilingual class. Grammar School Konštantínova 2 is the third largest grammar school in Slovakia. The alternative curriculum, which the school is based on, enabled the school to introduce greater differentiation and selectivity of school subjects in the third and fourth grades. Students used the space created by the new project and in 1997 they came up with their own proposals and modifications. Since then, students have been allowed to choose not only subjects but also teachers, and the assessment of voluntary seminars has been introduced too. The English language is a compulsory subject for the all types of study. In addition students are required to choose a second language – German, French, Russian, or Spanish. In 2012/2013, 63 professionally and pedagogically qualified teachers (including 45 women) provided the educational process at the GK2. Except for twenty teachers, all the staff have the 1st qualifying exam or its supplement; five teachers have passed the 2nd qualifying exam. The school employs teachers well-trained in auxiliary competence – coordinators of drug addiction prevention, environmental education, education for marriage and parenthood, human rights, and a school psychologist. Teachers take part in ongoing education, and increase their skills in the use of IT and other professional competence. Non-pedagogical staff working at the school comprise of 10 employees, including 7 women. Currently, the school has 44 rooms, including biology, chemistry, aesthetics, and ethics classrooms, 4 physics classrooms and laboratories, history and geography classrooms, 4 classrooms for foreign languages, 2 gymnasiums and a fitness centre, and 5 IT labs. Many rooms are provided with PCs, projectors or interactive whiteboards. a) 4 - year study – it is a traditional grammar school study attended by 14 – 19-year-old students. It prepares students for all types of university study. In 2014 the school welcomed three classes of the 4-year study. b) 8 - year study – it is a grammar school study for 11 – 19-year-old students. The first four years supplement the second primary education stage, usually performed at primary schools. Nevertheless, it is more demanding and prepares students for the grammar school study. c) bilingual study – it is a 5 - year study. One section is focused on the English language, and the other one on the German language. The study consists of an altered curriculum for the 4-year study with widened English or German language classes. Several subjects are taught in the chosen foreign language – particularly History, Civics, Philosophy, Aesthetics, Ethics, Geography, and Biology. The graduates are fully prepared for university and study both at home and abroad with a C1 certificate and the State Language Exam.